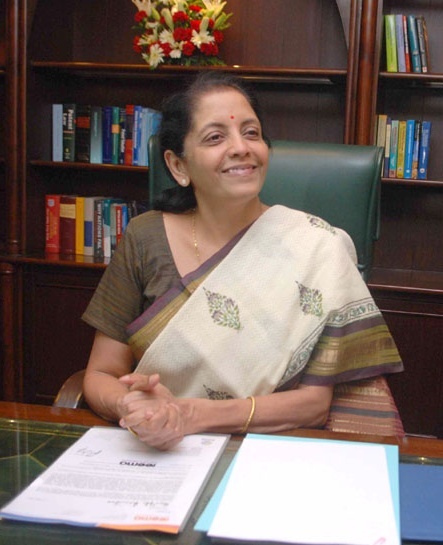 Commerce & Industry Minister Nirmala Sitharaman, photographed below, believes the popular mandate, based on which her party came to power last year, should also be considerate enough to give the government five years to fulfil promises. In an interaction with Business Standard, the minister said she felt a little let down that industry did not voice its support for some of the reforms undertaken by the government. 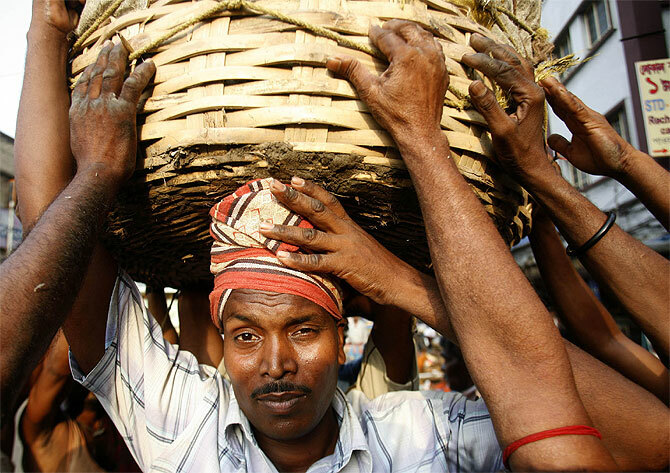 States’ assessment on their ‘ease of doing business’ parameters will be released this week. Could you share some details? I am happy that this is happening. It is not happening off the cuff but after a detailed work between the Centre and states. The ranking is not our business; we are not concerned with it, though we have given our inputs and asked states to give theirs. We certainly readied states for a situation where they could be considered for ranking. Before 2014, states did not have a complete idea of the basis on which they would be ranked. When the ranking came, and I went into their details, I still thought the survey did not get enough space or representation. There were a few voluntary respondents in Mumbai and Delhi on the basis of whose inputs the ranking was done. Of course, we did not contradict them or enter into a dispute with them; we understood the nature of that animal. In the name of ‘Make in India’, states could take many steps -- be it completely removing or simplifying or regulating or reviewing the rules, if those were archaic. Some 98 different steps like these were identified. And, even in December, when we met for a day-long workshop, we agreed on a work plan with different deadlines for these 98 issues, all of which had to be completed by June 30. I am happy that many put in their time and energy; most cleared the backlog by June 30 and readied themselves to be rated. So, when World Bank and KPMG engaged in this exercise, states had already created the first platform required to be ranked. This ranking activity will set a very good tone -- that states are now taking it very seriously. And, it is not just the National Democratic Alliance government sitting in Delhi that is asking for more investments and the environment to be improved. Now, it is states that want to be investor-friendly and take ‘ease of doing business’ seriously. The ranking will show us how states have readied themselves. Any preliminary idea of how states have done? Were they evaluated on 98 parameters? We have no idea of the final result. And these were not parameters but steps that we thought were important for states to attend to. Some were regulatory, some inspection-related, some self-certification-related, and some environment-related where they had to understand environmental clearances could not wait forever. We had to tell them to have a certain period. At the central level, we now have a committee looking into how regulations can be simplified and how an overlap (if there is any) will be removed, so that the requirements for setting up a business do not become a headache. Your ministry could have been one of the biggest beneficiaries if the government had been resolute and had stuck to the land acquisition law changes. Are you disappointed? How hopeful are you of states’ willingness to change? I get the feeling, and that is why the observation made by Arvind Panagariya of the NITI Aayog is also on track. He is also suggesting; we get the feeling that states are now seeking more inputs to understand what they can do and where the problems lie. They are telling us about the problems they face in acquisition of land; they are very clear they can move forward in clearing a lot of those contentious questions. So, I feel the movement from states will be greater than we can imagine. Let us now see what the committee says. For me, of course, we had from the department gone to meet with the committee and give it several alternative ways. In fact, we have gone back to the previous government’s idea of National Manufacturing and Investment Zones under the National Manufacturing Policy. We are discussing how to identify areas along the corridors where we could set up these zones. These could be state-specific and completely dispel the misconception that every one km between Mumbai and Delhi might be acquired. That was never the idea. This was only a baseless running commentary about land acquisition. The government met industry recently, and some party leaders later commented they were unhappy with industry for not showing wholehearted support for some reforms undertaken by you. Is there a general sense of disappointment that industry has not been very forthcoming despite the measures you are taking? Do you feel betrayed? No, I do not feel betrayed, because we have been engaging with them continuously. We delayed the Foreign Trade Policy, for example, because we wanted to draft it after a complete understanding of what we were doing. We took time, and it was delayed by a year when we could release it. We were basically engaging with them. Having engaged with them in all these months, if I, sitting in the ministry, cannot understand the issues they are facing in manufacturing or exports, it must be very difficult. But, at the same time, I wish they were more articulate. There were occasions when they could have openly spoken about their expectations but there was silence. If anything, I would want them to speak up. Is interest subvention happening for exporters? It will probably be happening soon. It got delayed, despite the finance minister announcing how much he was willing to give for this, because framing the rules took time. What is the government’s overall policy on free trade agreements, given the current scenario? World Trade Organization talks are not moving forward, different countries are busy forming trading blocs, and we are a little hesitant on free trade agreements. What is our approach? Some facts need to be put on the table. India has not ended up as a raw material exporter because of FTAs. On the contrary, I think we found newer markets for intermediaries and some finished products. Yes, there is a feeling that imports are increasing but there is no diversion taking place because of FTAs. These things have been established by reviews. So, our commerce ministry is continuing with these agreements, like the previous government, and holding a lot of outreach programmes. We are going to exporters and telling them about the benefits they can get out of FTAs; how best they can utilise them, leverage them, and so on. This outreach programme happened in 2013-14 and 2014-15, and it will continue. On World Trade Organization, we have done many things. We are not sitting back just because we have obtained a peace clause for food security. We have told them that trade facilitation alone is not going to solve the problems. There is a need to address the Doha developmental issues, at least at the 10th Ministerial happening in December. After all, development is not trade. Are you drawing a deadline on this? No. I am clearly telling that ambitions cannot be brought down. Keep your ambitions high. But at the same time, these cannot be restricted to trade. Yes, India will ratify the trade facilitation agreement. When are we signing it? We were supposed to do that by July 31. We will sign it soon. One would have expected greater clarity from your government on foreign direct investment in multi-brand retail. But we have not seen much clarity in 16 months. . .
We have left it as it stands, and there have been no new applications for FDI in multi-brand retail. That is where we are. Coming back to FTAs, probably a lot of space has been taken up by the India-European Union FTA. The impression is that the government is dragging its feet. . .
On the EU, let me tell you that I had gone ahead with the negotiations. Each time I met the EU’s former ambassador, João Cravinho, I said we would like to start it. Then I met the EU trade commissioner and asked her to let the chief negotiators meet. And, it was agreed they could meet by August 28. The chief negotiators had met in early 2015 and understood where the negotiations stood. But I insisted on formal talks. We took a studied call on a matter. But, brand India came under question when they imposed a ban on 700 drugs clinically tested by GVK. The prime minister raised the issue on the ban, his enquiries were not answered. We said, ‘Sorry, the environment is not conducive if they are not even ready to reply’. My questioning did not get an answer. . . we raised it all levels. Could you take us through what really happened at GVK Biosciences? Was that only about an errant French inspector? The clinical trial records were questioned by the French inspector. After that, and also simultaneously, the potency of the drugs and their safety were cleared. It was only the clinical records that were tested; that is not germane to the established potency of drugs and their safety. The French inspector had an issue but subsequently, two other independent bodies looked into the same data, on the same records, and said there was absolutely no problem. Those medicines were still being used. We had delegations going out and coming in to sort the issue. So, we were under the impression that they would come back and tell us what it was, because so many negotiations had happened and the technical data were shared. If there was an issue, they should have talked; they cannot be so unilateral. And, they are still using the drug. There is no danger. So, we have not called off the talks but told them the environment is not conducive enough. There is a political constituency that is against talks; it says we should get out of WTO and not do any FTAs. . .
Australia is keen that I sign the FTA tomorrow. If the Regional Comprehensive Economic Partnership goes according to the wishes of its the main partners, they would want to finish it by December. The US is keen; we are going with a strategic dialogue. So, I do not think there is any such opposition or there is any environment of stonewalling. They are sitting up to hear us. I think the EU would want the FTA to go, and our objection to the point of getting an answer has also been received by them. They could have rebutted us, if they chose to. Canada is also keen to sign an FTA with us, and so is New Zealand. We are doing our best. Will you wait for the committee headed by Chief Economic Advisor Arvind Subramanian for reviewing FTAs to complete its exercise before signing FTAs? If my negotiations are complete with one particular FTA matter, I will go ahead. I am not waiting for the committee to complete its work. Is there a strategy to deal with exports, because the PM is believed to be monitoring the situation? What is the government planning to do? We have stated in the Foreign Trade Policy the need to find newer markets, as demand in the existing markets has saturated. We have not done that yet, but we are sharply focusing on finding newer markets. Second, we will soon have interest subvention. Third, the rupee is depreciating against several other currencies. That has offset the yuan devaluation to a certain extent. Like the Chinese do, we can give a lot of money to start projects in other countries, in terms of project exports. What is the government’s strategy on special economic zones? The rate of approvals has also come down since your government took office. The rate of approvals has not slowed. There was a hiatus from states -- it should come from them because, after all, it is they who have to give no-objection certificates. The SEZs have had various problems other than minimum alternate tax and dividend distribution tax. Excess land was lying unutilised, whether they were to be treated as non-processing zones or used for other purposes. Now, a decision on dual use has been taken. It is a subject of states. They have told us they might like to utilise that land for their own projects and not confine it for export use alone. Also, newer manufacturers can be brought within the usage of unutilised land. Largely, dual use and non-processing activities are the matter on which some flexibility has been showed by states themselves. MAT and DDT are big issues. Having benefited from a certain revenue generation, the finance ministry might find it difficult to give that away. But, we are also talking about how these have changed the very nature of SEZs, -- these were germane to the original terms and conditions, which have now changed. Is your concern on FDI in e-commerce economic or political? Leave the political part aside. On the economic concerns, after a few stakeholders’ meetings, one of which included ministers from states, it was a very complex issue. The contours are absolutely enormous. E-commerce is no longer only about running portals, it is about warehousing and inventories. So, disputes have come out in some states -- very sharply in some cases. Some other states have been fairly innovative. So, at a stakeholders’ meet, three to four aspects came out clearly. I might or might not subscribe to those, but I am putting those on the table. Brick-and-mortar retailers are no longer just brick-and-mortar players. Whether they are serving the local market or not, they are also e-commerce and are selling their wares through the e-commerce route. Second, this whole narrative of multi-brand and single-brand retailing is talking of retail alone. Whatever the reason, the narrative has been all jargons. Many retailers have questioned me on these artificial definitions. Third, the e-commerce people, who should have run portals, are keeping inventory, holding warehouses and receiving FDI in the name of logistics. So, when I calculate FDI, should I calculate it in logistics or retail? The lines between e-commerce and brick-and-mortar commerce have been blurred. The same is true for multi-brand and single-brand retail, and Indian and foreign e-commerce. These are the big questions we are now addressing. A larger debate is on. And, states have taken the lead in some cases. In some issues, they are having tax implications. In some cases, they have stepped back. It is not simple. But, wasn’t a distinction made to differentiate multi-brand retail from kirana (mom-and-pop neighbourhood) stores? Today, the smaller kirana stores are also in e-commerce; some of them have even identified investors. They are also keen to reach the e-commerce platforms. I will compile all of that and then come to a conclusion. The meeting happened in June. We gave states 15 days to come back. In fact, the retailers had gone to court, and the verdict was to approach the government in four months. Those four months are now over. We heard them as soon as the verdict came. But, I cannot sit back. Much water has flown under the bridge. So, we will wait for some more time and then do something about it. Your position on multi-brand retail as of now is what has been stated in the consolidated FDI policy. That means you are in favour of it. . .
We have not changed anything. We will respond when an application comes. Why are you being mysterious about it? I am not being mysterious about it. I am frankly telling you that we stated what was left behind as a policy through an executive order; that is not a legislative policy. So, we left it there. Our position is based on our mandate, you know. We are not in favour of FDI in multi-brand retail because that was part of our manifesto. This is a position of status quo. How much FDI has come from the countries the Prime Minister has visited? There has been an increase of nearly 40 per cent in FDI from the countries he has visited. You said you were disappointed that industry remained silent on some issues. Do you think some sections of society have reacted too negatively with decisions taken by the government? I would not play on that. After all, the expectations were very high after the elections. The hopes that gave us the mandate to rule for five years should also give us five years’ time to deliver. Also, since the expectations were very high, to think there will be a magic wand and everything would change might not be right. But, I will not hold that against any one particular section of the society. However, that is why I began by saying that we need to engage and find out what is it that we have done. The not-so-glamorous work that has been pending for years in each sector -- be it civil aviation or power -- were addressed. What are the fundamental reforms you have undertaken? We are addressing long-term institutional problems. In doing that, we are not ignoring fire-fighting. Why do you think these messages are not passing through? That is because you are constantly looking for big-ticket changes. A lot of things are happening in the economy because we are looking at it from one perspective. A lot of things that need to happen will probably happen in the future. We are hearing from a lot of people on the ground what should have happened yesterday has not yet happened. We are talking of an economy that is revving to take off but has problems that need to be addressed. I am quite happy to say this government has in the past year spent studied time over issues that needed to be addressed. But your message on ‘Make in India’ spread substantially. . .
‘Make in India’ is a plank on which we are very clearly saying agriculture can no longer create enough employment. It is already full of unemployment. It cannot sustain the proportion of population dependent on it, given that its contribution to gross domestic product is where it is. So, you need to have that whole proportion of underemployed people coming out of agriculture. They cannot go into services, which is contributing 57 per cent to our GDP but employs only 23 per cent of the population. It contributes to exports but does not have the capacity to take more people. The workforce has to go to manufacturing. And, how do you give a boost to manufacturing? Come and ‘Make in India’ -- make it for India or exports, but make in India. And that has to come in a big way because you cannot set up one unit and invite FDIs. It requires a push, and then the whole issue of ease of doing business comes in. I would think this is big-bang enough. Not all states are on board in getting the land Bill changed, including some Bharatiya Janata Party-ruled states. . .
Let us see how many are willing to come on board because some Congress-ruled states are willing to change their law. What do you plan to do with STC, MMTC and ITPO? Why are you not planning to wind these down? MMTC is still making some profits. These are units that have played a very significant role. In a changed environment, their role might require looking into. But, as of today, they play a role. If some institutions have to deal with procurement issues, these are the bodies. Their expertise has been built over years. I am looking at these units from the point of view of today’s environment, but I am definitely not looking at them as units that must close down because they have become a burden. No, I don’t think so. ITPO is still one of the best of agencies for international affairs. And, today, we are on the verge of starting a major convention centre. Despite being the national capital, Delhi does not have a convention centre where international conferences could be held. Has the Nestlé-Maggi episode been an embarrassment for the government? It could definitely have been handled better. Is Indian economy capable of attracting foreign investment? Indian economy has revived? Not quite!